David Gilmour sets up a harrowing premise - the disappearance of a child. What follows is a completely absorbing novel that doesn't let up until the last surprising page. David Gilmour is a novelist who has earned critical praise from literary figures as diverse as William Burroughs and Northrop Frye, and from publications as different as the New York Times to People magazine. The author of six novels, he also hosted the award-winning Gilmour on the Arts. 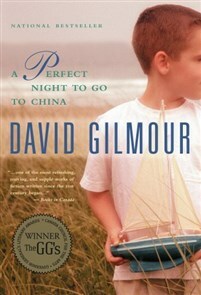 In 2005, his novel A Perfect Night to Go to China won the Governor General’s Award for Fiction. His next book, The Film Club, was a finalist for the 2008 Charles Taylor Prize. It became an international bestseller, and has sold over 200,000 copies in Germany and over 100,000 copies in Brazil. He lives in Toronto with his wife.